Ever since I was a little girl there were three things that I knew I wanted in life. The first was a puppy. The second was to write. The third was to be a mermaid princess. Well, I never got a puppy, instead I got my own personal grumpy cat even before Grumpy Cat was famous. I never wrote unless I had to, I read books instead, because my teacher had told me that I had the best spelling but the worst handwriting ever. And no matter how long I stayed in the water, I could never seem to find my princely merman, though I did find a bunch of clams and a lot of sand in my bathing suits. My Christmas letters to Santa bribing him to “please, please, please, give me a puppy this year” gradually ended, but only because I started wishing for something bigger. A pony. I would like to say that I started writing because my handwriting became impeccable, but lets me truthful here. It didn’t. I hated cursive with a burning passion. It just didn’t make sense. To this day I still don’t understand why the “n” looks like an “m”, the “m” has an extra hump, and “k” looks like an uppercase “R”. Normal print handwriting was too tedious. Who wants to pick up their pencil after every. single. letter. So little lazy me mushed both techniques together. I wouldn’t pick up my pencil to start another letter, instead I just connected my whole word, but I was not about to make my letters have any extra humps or loops. My handwriting came out looking like a bad attempt at really messed up cursive.So when my fingers started itching for a pencil and paper, every story began with “once upon a time there was a princess and her pony…” but that is as far I would get. Who knows where all the princesses and their ponies went off to in the stories written in my head, but I could not get them down on paper in my weird handwriting. I tried to journal, but I felt weird talking to myself. I even tried to keep a riding record, but those just faded out. The amount of notebooks I have that are only full of a few pages of “today I did…” is ridiculous. Eventually, my desire to write was sustained by high school papers and then college essays. And so my wishes of being a writing slid through my fingers. So what caused me to start a blog? A few inspiring people. The first being my mom. When she took me to get my nose pierced one summer I had such a fascination with it that she jokingly told me to write a blog about my adventures with my nose ring. I considered it (and thankfully never went through with it). When I went to Martha’s Vineyard for the summer she said the same thing, to blog about my summer in paradise. Unfortunately, my computer broke and had to be sent out before I left, so I spent two weeks on the Vineyard without my laptop. Once I got it back I couldn’t just start to blog something that had already begun. So there went that. 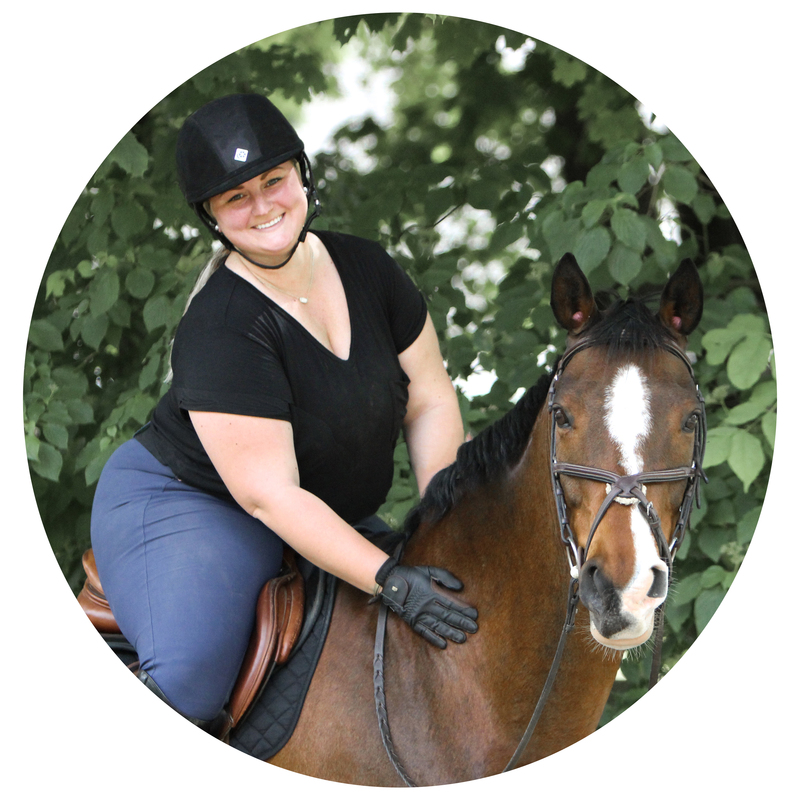 The next person is actually a blog by a fellow rider, Anna Easton, called Big Eqspectations. I stumbled upon her blog during one of my many sleepless nights on Tumblr. Her blog on her Big Eq goals of Maclay Finals gave me not only riding insiration, but a want to blog something. Anything. Lastly, was a speaker brought to my college to speak to the incoming freshmen, Hannah Brencher. Her speak about the organization she founded, More Love Letters, led me to their website and her own personal blog. After a few hours of reading past posts, my fingers began to itch again. And now here I am, telling my life to friends, family, and maybe even people I will never met. My posts may not always be significant, or even relevant, but I hope that I can at least give you something to waste time reading. The only things I can promise you are horses, college, and hopefully a sprinkling of inspiration. Welcome to a little slice of the chaos that is inside my head. Welcome to the life of a college girl and her adventures in breeches and boat shoes. Very Nice 3rd child of mine.. Can't wait to read more..